Steve Lowery M.D. has written medical articles since 1981. His work has appeared in the journals "Respiratory Care" and "American Review of Respiratory Disease." He serves on an editorial panel for "Respiratory Care" and holds his medical degree from the Medical University of South Carolina. Lowery completed his residency at Highland Hospital in Oakland, Calif. His specialty is pulmonary medicine. Pulmonary embolism is a common disease and in some cases is life threatening. Emboli are usually blood clots that begin in the deep leg veins. Some blood clots break off the wall of veins and quickly lodge in the lung vessels. Once the emboli are stuck in the lung they can cause symptoms which limit the function and capacity of the lung. After appropriate medical therapy, attention can be turned to lung rehabilitation and exercises. Pulmonary embolism causes a spectrum of symptoms including shortness of breath; pleurisy, which is sharp chest pain with a deep breath; and cough. These symptoms, when present, help make the diagnosis; however, they tend to last many weeks after treatment. Medical supervision is important since persistent symptoms can limit the benefit of pulmonary rehabilitation. A pulmonary embolism causes the lungs to contract and lose volume. After treatment of pulmonary embolism, a physician may approve an exercise regimen. The goal of pulmonary exercises is not only to inflate the lung to its prior volume but also total body conditioning. Toward the first goal, coughing and deep breathing help inflate the lungs. Special devices called incentive spirometers work by allowing a person to inhale against a fixed resistance, thereby strengthening the deep breathing muscles. Most coughing and deep breathing routines are done in the upright position. Although symptoms of chest pain and shortness of breath improve over a six-week period, they frequently limit the effectiveness of coughing and deep breathing exercises. Alternatives to coughing and deep breathing are mild aerobic regimens including walking and indoor calisthenics. These are preferred since they condition the whole body and not just the lungs. Deep breathing, which can produce excessive pain, is less likely in a mild aerobic workout. 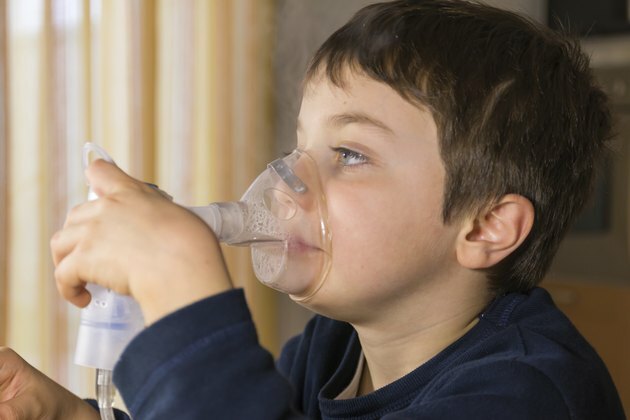 What Are Nebulizers Used For?